Absolute top dollar was paid for this lot - the princely sum of $50! 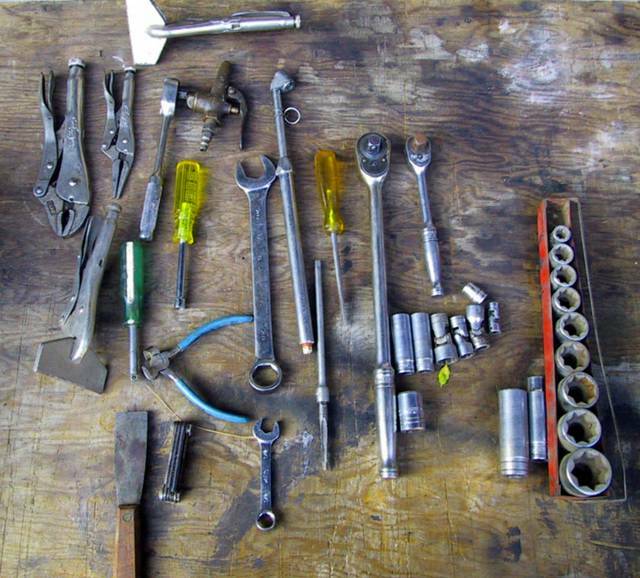 But, keep in mind, everything to the east of the yellow Proto screwdriver is made by Snap-On. And look at that adorable stubby 1/2" MAC combination wrench. Looks good enough to eat.